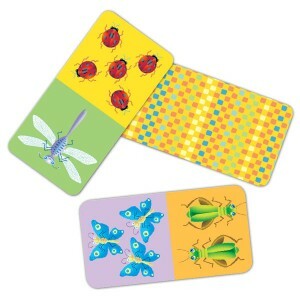 eeBoo Studio » Blog Archive » Scholastic Parent & Child Reviews eeBoo’s Pre-School Bug Dominoes! Scholastic Parent & Child Reviews eeBoo’s Pre-School Bug Dominoes! eeBoo’s Pre-school Bug Dominoes use color, shape, and numbers to match one piece to the next in a growing chain of dominoes. Younger children strengthen their recognition skills as they use color and shape to select an appropriate piece. 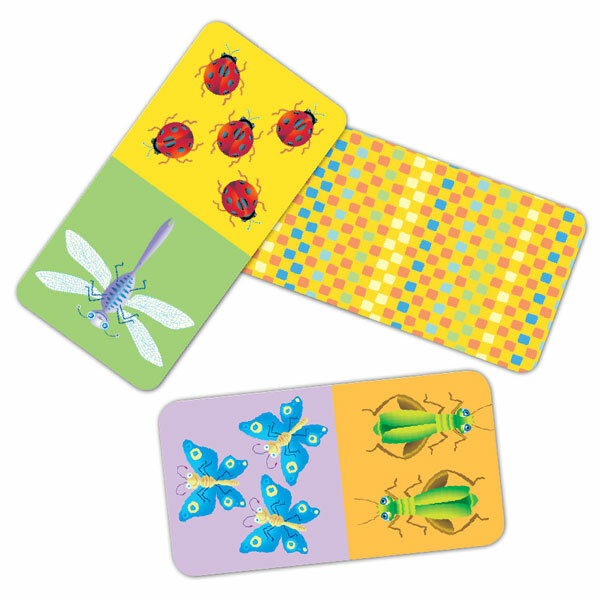 When kids are old enough to count, they can use the number of bugs in each image to determine the right piece — expanding this playfully educational experience to include basic math. 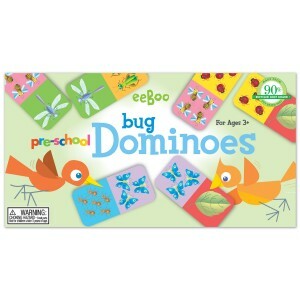 eeBoo’s Pre-school Dominoes is for ages 3 and up, and retails at $13.00. The Pre-school Bug Dominoes has won the Oppenheim Best Toy Award – Gold Seal! 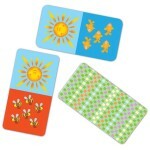 If you love eeBoo’s Pre-school Bug Dominoes, check out eeBoo’s Pre-school Picture Dominoes! 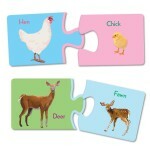 eeBoo produces 12 other Pre-school Matching Games and 6 Puzzle Pairs, also designed for children of Pre-school age! You can read Scholastic Parent & Child’s review here.